Is this really worth it? Should we just keep SWAT Kats in the past? 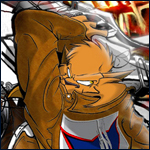 Leaving SWAT Kats in the past is the question. The series itself has proven to be ahead of its time (advanced technology, origins of dark characters, deaths, etc.) and by the year 2000 it still has relevance among fans. Not as intense as when I re-discovered the series in 2004 but the influence continues. Maybe what the Tremblay brothers want is the SK essence to be not affected by current trends and the current animated series, which must be politically correct as an obligation. This is just an opinion of what I have seen. If the Tremblays are taking the time to work in SK Revolution, I would say that I'd let them do it, it does not matter if it takes months or years for. I'd like to be surprised that one day out of nowhere the trailer comes to light. It could be an excellent series or it could not be. I'm sure I'll love it. Mikazo wrote: Did the Swat Kats have a proven track record though? It aired for two seasons and fizzled out. That's kinda the opposite of what I was saying. What I meant to imply was that the three rebooted shows I cited—DuckTales, Samurai Jack, and Powerpuff Girls—were already set up for success since they had proven track records (in the form of long original runs and thousands of dedicated fans with fond memories), and yet only one of them could be said to have had a successful reboot. Thus it's really hard to reboot a series successfully even when your chances of landing a hit are really good. In SWAT Kats' case, the deck's already stacked against it, so a real stab at a reboot would be extremely risky. Oh I totally get what you're saying. However if a show is long-running and successful in its initial run, I wonder if that couldn't actually make it harder, not easier, to have a successful reboot. A show that already solidly left its mark the first time around, i.e. something like a TMNT or a ThunderCats, could be much more challenging to reboot than one that is more obscure and short-lived, simply because the bar is set higher and fans will have more expectations. Looking at games for a moment, what's interesting is that Street Fighter II was, and still is, a very popular game franchise. Its predecessor Street Fighter I on the other hand is quite obscure, and even back in the 90s not many Street Fighter II fans knew much about the first game at all. Street Fighter II of course was better in many ways, but it seems overall that this franchise was much more successful the second time around. Of course you're talking about a 90's video game which is quite a bit different than a show, but still. Makes you wonder. Any game history buffs want to shed light on this? QueenSimia wrote: Therein lies the question. I don't know if I'd really like a "mature" update for this show, for the same reason I put "clever banter" in scare quotes in my first post re: DuckTales. While I do like peeks into characters' lives, I don't like when a show that started out as action/adventure starts prioritizing talking head character deep dives over plot. Part of what I like so much about SK is that it goes straight from point A to B, all acceleration and no brakes until we've hit our allotted 22 minutes. The old Disney Afternoon standbys and other cartoons of the '80s and '90s did the same (though not quite at SK's breakneck pace). QueenSimia wrote: That's what I'm afraid of if SK were rebooted now. It'd be a hard sell in today's animation climate since it doesn't really fit into any predictably profitable slots, which scares away producers. Animation overall still faces huge editorial roadblocks because it's so work-intensive, and therefore a not-insignificant investment. Humor's easy, you can excuse a lot with jokes, and everyone loves to laugh. Irony's in right now. But if you want to do purely plot- or action-driven shows, hope you've got plenty of morals-of-the-day ready and a direct line to BS&P. I think it's more than likely that what we'd get would be SWAT Kats Lite at best, with less advertising and a confused reception this time around. It's difficult to really gauge what today's audience even wants. That almost would lie within the realm of some kind of market research. It's way outside of my scope unfortunately. Come to think of it, I wonder how they determined this back then. What made producers think that kids would want to watch a show about turtles who live in a sewer and eat pizza? Did they just take a wild guess and decide to put a cartoon like that out there, or was it based on any kind of preliminary research? QueenSimia wrote: Tackling an action show is a totally different beast, one that I'd argue is much more difficult. Plus, so much of American animation gets redirected toward humor, so much so that I can't think of any adult-targeted animated shows in the past decade that weren't at least partly billed as a comedy. I like jokes too, but c'mon, can't we just have a story or some 'splosions once in a while? That's what I'm afraid of if SK were rebooted now. It'd be a hard sell in today's animation climate since it doesn't really fit into any predictably profitable slots, which scares away producers. Animation overall still faces huge editorial roadblocks because it's so work-intensive, and therefore a not-insignificant investment. Humor's easy, you can excuse a lot with jokes, and everyone loves to laugh. Irony's in right now. But if you want to do purely plot- or action-driven shows, hope you've got plenty of morals-of-the-day ready and a direct line to BS&P. I think it's more than likely that what we'd get would be SWAT Kats Lite at best, with less advertising and a confused reception this time around. There's also the possibility of course that this strong focus on comedy cartoons to the detriment of other genres makes the audience hungry for something else, like an action show. You can only have so much of something before you get tired of it and want some variety. Probably not be the best comparison since you have to buy video games, but with video games, big AAA companies love copying other successful trends (just look at battle royale recently). Maybe that's what cartoon studios are doing now, copying the current successful trend because they see that as low risk. ::reading, now considers:: I think it's all just a matter of perspective. I would think that if/when the show does get a revival, it would be as a nice homage to the original fans who wanted to see said revival, but also attempt to adjust it to today's market audience. That being said, would it be the exact same thing? No, not entirely, and it would be kind of unfair to expect it to be. I would expect it to be painted a tad darker than its 90's predecessor, but I would also expect it to still have the same B-movie charm a lot of the episodes had - giant monsters, killer robots, mad scientists, witty dialogue, etc. What I don't want is for it to be dumbed down like they did to Thundercats and just give kids another half hour of sheer stupidity just because that’s what’s currently selling. One could argue that the new show wouldn't be meant for a bunch of people in their 20's and 30's, but that hasn't stopped people our age from partaking in kids' shows (Steven Universe, Gravity Falls, Adventure Time, Voltron: Legendary Defender) and finding something unique and rather clever in them even when kids don't catch it. The difference between SWAT Kats and say, Steven Universe, is that the former is an action show. There isn't supposed to be any hidden meaning in it (none of the 90's shows as far as I know had them). The Boys go in, blow up the menace, Feral yells at them, they all go home. That was the main theme. With Steven Universe, while that show (from what little I've seen of it) includes fighting in battles, there are also topics that kids can resonate with today - who they are, bullying, etc. Do I see SWAT Kats taking on several different themes like the shows of today? It's hard to imagine because it's not a 'slice-of-life with a dash of action' show. It's just pure action. It could *hint* at them and maybe people could catch them. Voltron: Legendary Defender did that beautifully exploring all the characters and giving them backstories while still keeping it as it was meant to be - giant robot defends the universe against marauding aliens that want to conquer said universe. So, it *can* be done. In the end, it really is up to the writers and the creators. I would think that since the Tremblays are insistent on giving the show a comeback that it'd be done to their specifics. And, whatever the end product, not everybody is going to be happy. No one ever is, really, when it comes to reboots (see: TMNT). That’s just a risk creators have to take. MintySage wrote: In the end, it really is up to the writers and the creators. Who've been tight-lipped about the specifics of the show for a while now and have failed to deliver the promised trailer. MintySage wrote: I would think that since the Tremblays are insistent on giving the show a comeback that it'd be done to their specifics. Which is fine. But at the moment, there's nothing to praise or criticize because there is nothing. That's the problem. Tarnish wrote: I won't go into the whole "whether the Tremblays should show more Revolution material or not and where is the 2 minute trailer they promised", I'd rather ask this: was Kickstarter the right path to take in the first place to revive the franchise? This is not the issue and I think the thread veered wildly off-topic. Whether Kickstarter was appropriate or not is beside the point; the fact is, the Tremblays used it and what's done is done. And in using Kickstarter, they made a commitment. Fans paid into this and deserve some reassurance that they'll see a return on their investment. Something, anything, would be great, but the Tremblays have basically said and done nothing regarding Evolution's Kickstarter since I dunno when. No "The trailer is coming" or "Sorry, there's been a delay, please be patient" or anything. All the stuff we've gotten from the old show is great, the scripts, model sheets, backgrounds, etc., but it's time fans got what they paid for, that trailer, or at least reassurance that it's on the way, or an explanation of what the holdup is. So I'm putting this thread back on topic. As Erico himself just told me on Discord, the thread is about Kickstarter and "unmet expectations" (his words), not whether the show needs a reboot or not, or what that reboot might be like. Well, we still got that thing in November Modad told us about, maybe we'll hear something about Revolution then. MAYBE. Here's hoping. Although I may come off like a doomsayer, I want Revolution to happen. I really, really do. 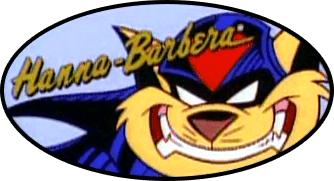 Whether it turns out to be good or bad, I just want some new SWAT Kats episodes... some finished ones, anyway; after all, as awesome as they are, not only are Succubus!, Turmoil 2 and The Doctors of Doom not really "new," they're just scripts (and Doctors of Doom is barely even that). I'm just dismayed - and increasingly wary - of the lack of updates about the lack of updates coming from the Tremblays and their Kickstarter, and I think I'm entitled to be, and so are the rest of us. I mean, just so we're clear and I don't get accused of being ungrateful or anything. Kooshmeister wrote: So I'm putting this thread back on topic. As Erico himself just told me on Discord, the thread is about Kickstarter and "unmet expectations"
That's a good point to reiterate, but a lot of the issues brought up by people in this thread are all highly relevant and also insightful (and possibly even cathartic), and are directly inspired by Erico's premise of "evaluating," so it hasn't quite reached the level of "off-topic" just yet. Kooshmeister wrote: Whether Kickstarter was appropriate or not is beside the point; the fact is, the Tremblays used it and what's done is done. And in using Kickstarter, they made a commitment. Kooshmeister wrote: And in using Kickstarter, they made a commitment. I just read in the most recent update on the Kickstarter, which was last year mind you, that they didn't wanna reveal anything until it was set in stone. So they really wanna make it perfect before anyone actually sees it, at least that's my take on it. Echo wrote: I just read in the most recent update on the Kickstarter, which was last year mind you, that they didn't wanna reveal anything until it was set in stone. So they really wanna make it perfect before anyone actually sees it, at least that's my take on it. This has been a repeatedly stated reason, one that I can personally relate to as I myself try to avoid talking about things until they're certain. But, it's also important to factor in that it's been 3 years now, and it's perfectly reasonable for people to feel certain frustrations, particularly for the reasons that have already been outlined by others here.